Sisanda Magala started watching cricket, on television, at a young age and like it. He then went on to play at College Hill School where made the Eastern Province Under 11 team and met one of his role models, Mr Barnard, his Under 13 A coach. Since then cricket has always been the vision and the path he wanted to take. The highlight of his career was in 2016, going to Australia with the South Africa ‘A’ team. His cricket role models include Brain Lara, Matthew Hayden and especially Brett Lee who impressed Sisanda for being so quick and played for so many years when fast bowling is demanding. Sisanda Magala is a right-arm fast-medium pace bowler who went to Muir College in Uitenhage, Eastern Cape. 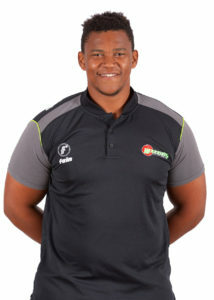 He has represented the Eastern Cape, South Africa A and the Warriors cricket teams. He played for the Eastern Cape in the 2015 Africa T20 competition and was the leading wicket taker in the 2016 Africa T20 Cup. He made his First-Class and List-A debuts in 2010 and his T20 debut in 2011. The bowler has been pivotal to the Warriors team in the limited overs competitions over the last 2 seasons. Off the field Sisanda enjoys eating his mom’s food, playing Xbox and spending time with his girlfriend.